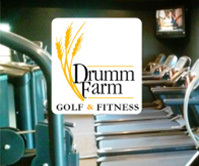 With the grand opening of the Drumm Farm Fitness Center in Independence, GreatLife Golf & Fitness looks to provide a quality fitness experience to golfers and non-golfers alike. Dozens enjoyed appetizers, prizes, and a ribbon-cutting ceremony as they viewed the new state-of-the-art fitness equipment and met with Drumm Farm staff and trainers from Elite Golf & Fitness. 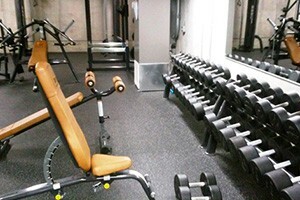 GreatLife owner Rick Farrant hopes the new facility will attract people with a wide variety of fitness interests, and maybe some of them will become golfers, too. The new fitness facility is attractive in its own right and having a fine course like Drumm Farm right outside makes it even more attractive. 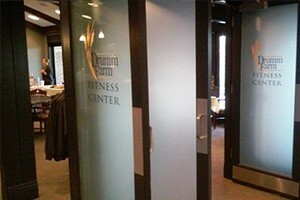 Fitness buffs – golfers or not – should be sure to check out the new Drumm Farm Fitness Center. 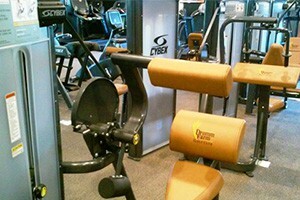 For more information, visit http://www.drummfarmgolfclub.com/-24-hour-fitness-center or call 816-350-9900. 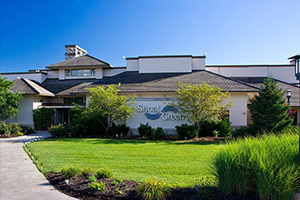 In its 15th year, Shoal Creek Golf Course in the Northland remains one of the premier public venues in Kansas City. But the quality of the experience is such that it can easily be mistaken for a private course. First, there is the drive into the course on Shoal Creek Parkway, a long and leafy boulevard. 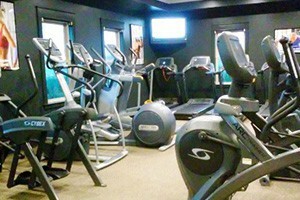 Then there is the handsome clubhouse, with a fireplace, banquet facilities, locker rooms and first-rate service. The golf course itself is meticulously manicured, offering players a pleasant yet challenging round over 18 wooded, secluded holes. And for good measure, there is a GPS on all carts – uncommon for public courses. The setting of the course north of Highway 52 and west of Interstate 35 may seem far to people south of the river, but it is actually only a 15 to 30-minute drive from much of Johnson County and Jackson County. Last year, 32,000 rounds were played at Shoal Creek, up from an average of 30,000 rounds, Plymell said. Many players came from Iowa and Minnesota, especially in the early spring and fall when weather to the north is not as golf-friendly as in Kansas City, he added. The course encourages these travelers with stay-and-play packages offered in conjunction with a few Northland hotels. 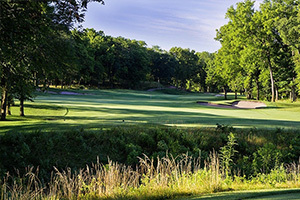 Shoal Creek is continues to be rated among the top courses in the area and holds the title of second best public course in Missouri by Golfweek’s America’s Best You Can Play, second only to Branson Hills Golf Club, formerly the Payne Stewart Golf Club. 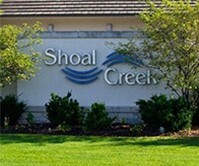 Shoal Creek is owned by the Kansas City Missouri Department of Parks and Recreation and managed by privately by KemperSports. Playing to a par 71, Shoal Creek is 6,983 from the back tees and 6,363 from the middle, with respective course ratings of 73.9 and 70.8. It has a lofty139 slope rating from the back and 127 from the middle. From the forward tees, the course plays at 5,571 yards, has a 66.5 course rating, and 116 slope. The opening five holes are the toughest stretch on the course before giving way to an easier 6 through 16, Brouillette said. Then, the par-3 17th requires a tee shot over Shoal Creek while 18 is a 464-yard dogleg par 4. Shoal Creek has zoysia fairways and bent grass greens, maintained by Duane Sander, course superintendent since the course opened. Two wet summer months cut into play earlier this summer, but has left the course lush heading into the fall. 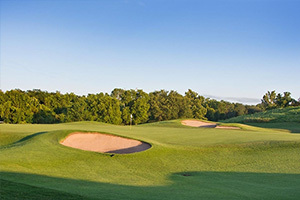 Shoal Creek’s green fees vary by time of day and day of the week. Various types of annual passes are available. Club pros offer lessons, either on the practice tee or in a nine-hole round. The course also has junior clinics and a PGA Tour Academy camp in June and July. 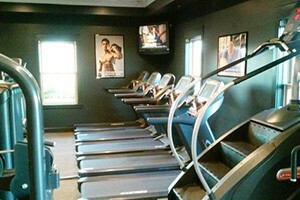 The pro shop has all the apparel and equipment a player could want and it custom fits clubs. 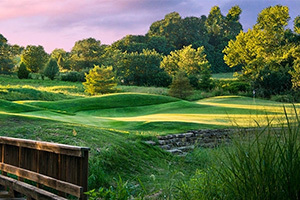 For several years, Shoal Creek has hosted the Kansas City Amateur tournament. It is also popular for corporate and charitable outings, leagues, and its annual Halloween tournament, which features some offbeat pin placements and various obstacles placed in strategic spots by the superintendent. Shoal Creek does not live by golf alone. The course is booked for 30 to 40 wedding events every year. Receptions can make use of three different rooms in the clubhouse, including a banquet hall that seats 250 people. Couples who want to also marry at the course can do so. The ceremony seating is usually set up on the driving range in front of the clubhouse. The clubhouse also hosts many parties for birthdays, anniversaries, reunions and other occasions, he said. The course has periodic wine-tastings with hors d’oeuvres and features other weekly food specials including the always popular Taco Tuesdays.